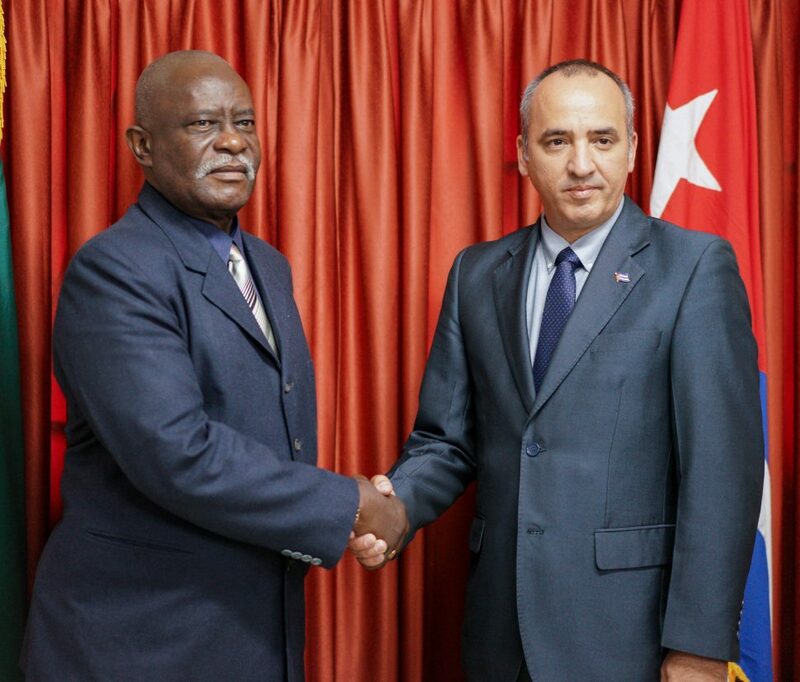 Minister of Citizenship, Winston Felix (left) and Director of the Division of Consular Affairs and Cuban Residents Abroad, Ernesto Soberon Guzman shake hands (Ministry of the Presidency photo). The Ministry of Citizenship yesterday concluded its second round of bilateral talks on migration, with a delegation from the Government of Cuba and the spectre of human trafficking and the possible imposition of a visa requirement were raised. Minister of Citizenship, Winston Felix, led the local contingent with the discussion focussed on strengthening collaboration between the two countries and providing a framework to review migratory patterns. The talks came at a time of rising controversy over the question of foreigners arriving here but there being no record to show the legal departure of a large number of them. Applications for naturalisation by various groups of foreigners have also spurred controversy. According to a Ministry of the Presidency (MoTP) press release, the meeting discussed the ways in which the two countries can combat irregular migration and ensure that persons travelling to both territories do so in a way that is lawful, safe and reduces opportunities for Trafficking in Persons (TIP), among other matters. The meeting also examined the possibility of instituting a requirement for Cubans entering Guyana to have a visa. 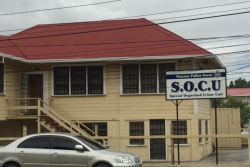 Felix, according to the release, said Guyana welcomes persons who visit the country legally. “Once they leave Cuba legally and they arrive here legally; we are going to accept them and treat them as all other members of the Caribbean family are treated,” he was quoted as saying. The MoTP stated that the delegations are expected to meet again in another two years.